Have you been spending more time playing with your dogs indoor this summer? While fall is supposed to be right around the corner, it doesn’t feel like it. We are still struggling with 90 degree temperatures here in Kentucky, a bit hotter than usual for this time of year. By now, the girls are usually outdoors playing and we are hiking due to cooler temperatures. This year that is not the case since it really isn’t safe for dogs (especially double-coated arctic dogs) with this horrible heat. Rather than just sit around and do nothing, we are making the indoors more exciting with fun doggy toys that keep the girls not only entertained, but active. If you’ve ever thought it would be great if there was a great indoor toy that would keep dogs excited, entertained, and constantly thinking? 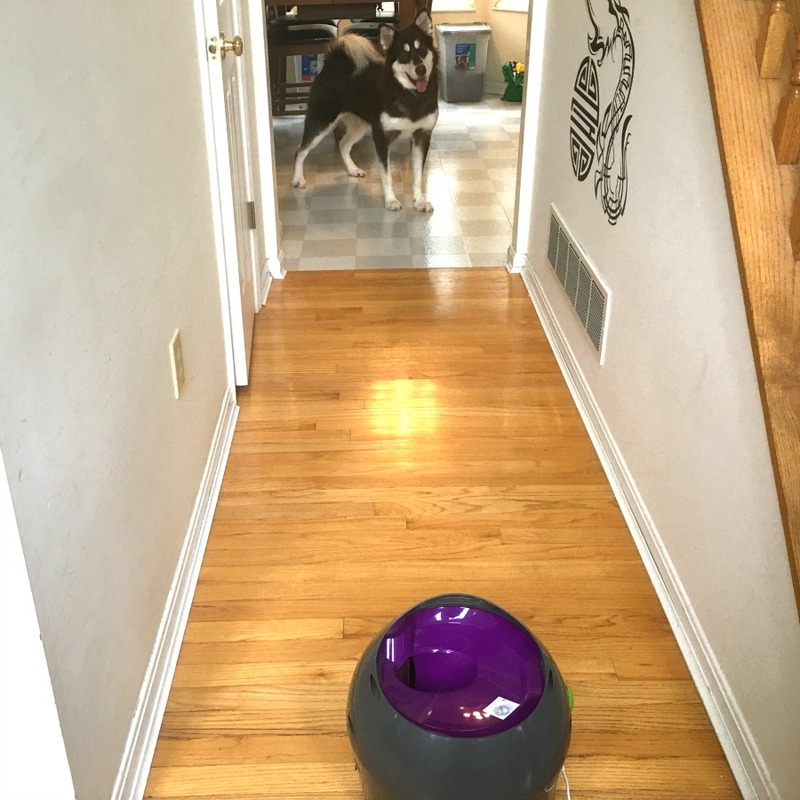 Luckily, we recently found the perfect toy that is perfect for not just keeping the girls active indoors, but outdoors too – the PetSafe Automatic Ball Launcher! PetSafe Automatic Ball Launcher: What is It? Looking for a fun, interactive toy to keep dogs active both indoors and outdoors? If so, we think you will love the PetSafe Automatic Ball Launcher. This water-resistant launcher has 9 distance settings (8 – 30 feet) and 5 angles (up to 45 degree angles) to allow you to customize for playtime with one or more dogs. As well, it works with standard sized tennis balls, so they are easy to replace (because dogs never damage their toys). Our favorite part, however, is that it is has multiple built-in safety sensors, keeping people and pets safe while playing fetch, and making sure other dogs in the house stay safe during playtime. While this easy to transport launcher works on D-cell batteries outdoors, it also comes with its own power cord, making it efficient for indoor play. To learn more about this fun interactive dog toy, make sure to watch the video below! Out of all the toys we have reviewed for the girls, this is by far one of our absolute favorites. While Ivi has a short attention span with fetch (we are still working on that), Rylie absolutely loves not just chasing the ball, she is happy to bring it back, a first among our girls. Our eventually hope is that we can teach her to bring the ball back to the unit, creating lots of fun playtime whether or not we can do more than watch her. As for the toy itself, we found that it is extremely adaptive, easy to use, and well made. While I do think we will get a lot of use of this launcher outdoors (the girls will love running downhill grabbing launched balls), I absolutely love that it is great for indoor use too. While it is extremely hot outdoors, we can set this up in one of our long hallways and watch the girls have fun. Right now, our preferred place is in our front entry way. The other thing I really appreciate is that it uses standard sized tennis balls. If your dogs are anything like ours ,they absolutely destroy tennis balls or hide them throughout the house for future play, making it sometimes challenging to use ball-themed toys. 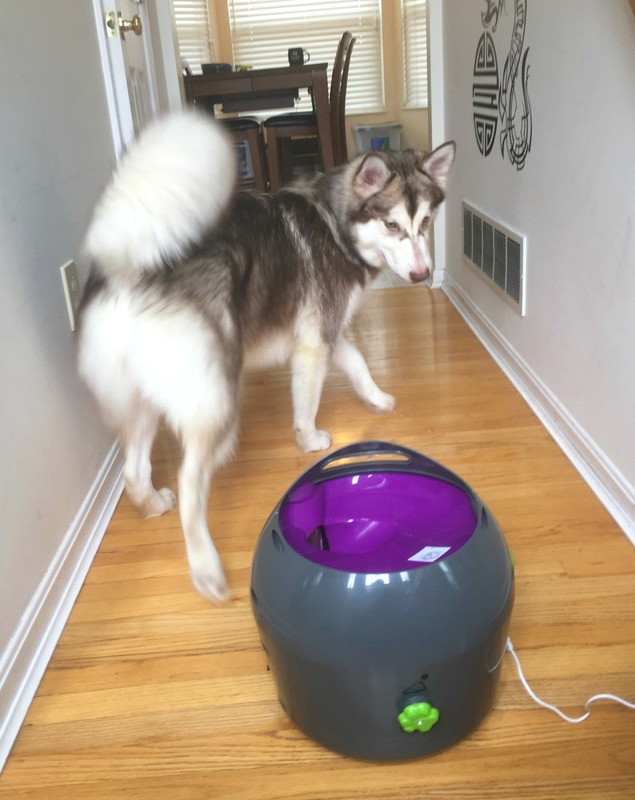 With this launcher, however, we can easily play ball indoors or out, making it a safe way for dogs to play indoors during extremely hot or cold temperatures. Based on our own experience, we are delighted to give the PetSafe Automatic Ball Launcher an A+ rating and highly recommend it to all of our readers! Want to see a video of the girls playing with this toy? Make sure to check out the video below! It is pretty cute and you can see one of the safety features in action! PetSafe Automatic Ball Launcher: Where to Purchase? Want to purchase this awesome toy for your own dog(s)? You can purchase the PetSafe Automatic Ball Launcher on Amazon.com for only $149.95! 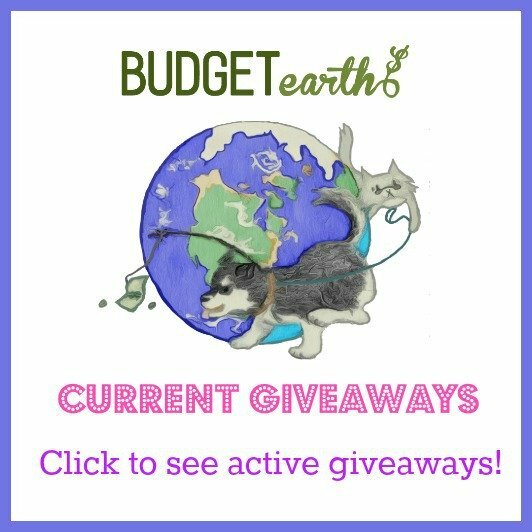 Disclosure: Budget Earth did not receive monetary compensation but did receive products for review purposes. This post may also include affiliate links. All opinions on this product are my own and may differ from our readers’ opinions. This is just the coolest thing!! I love it!! I’ve got to get my doggies one. I like the safety feature so it doesn’t smack the dog in the face. I love your video, glad the girls are enjoying their new toy! This would be really nice to have! This is so cool. My doesn’t really chase balls. She chases dogs who chase balls. What a cool invention! It’s like something you would see on “The Jetsons”. This will make for a great buy soon because we can use it indoors during the upcoming cold weather. This is so nice.It has so many adjustments to be able to get it just right for your dog.I love it. What a terrific way to keep your dog occupied, especially when you can’t be around. when i first saw this, i thought it was a neato type vacuum but then i read the article. this sounds fun! This looks like a lot of fun. I cannot wait to try this out myself, and I thank you for the information on this nice product. I’ve heard of anything like this before, which seems strange, because its such a great idea. I really enjoyed reading it about. This looks like it would give the dogs a lot of exercise. I’m not sure my dogs would like it, but would love to try it with them. I really need this. My little dog Milo, he will chase balls until your arm is so sore that it’s burning and he still runs up with a ball in his mouth wanting to play some more. My dog babies would love this! I am so glad it has a safety feature to protect the dogs. I think I am going to buy one for my pups! My dogs would love this so much! It can’t replace time spent with their “humans” but would be so handy when we don’t have time to play. Great product idea. What a great product for any dog owner! I’d love to own one! I absolutely love this, I don’t like the fact that the person isn’t interacting as much , but I think as long as the owner is right there I am just loving this, I know I sit for dogs and everyone in my family has dogs , this would be a treat. I love that you can set it so its not going to shoot off in the dogs face, and like that it has a motion detector in this..
My dog would LOVE this! My shoulder has been getting sore from throwing balls for my dog Miles. I like that this will spare my shoulder! There is nothing funner than seeing a dog go after a ball over and over again. I’ve been wanting to get one of these for my dog for the longest time. It’s a great way to keep her busy while we’re at work. This is a great idea for dogs. I am old and my arms get tired from throwing that darn ball. He is only 1 1/2 but you would think the way he acts he is still a pup. Lord don’t tell me, boy dogs are just like men, they never grow up!!!!! I have a very active puggle. She loves playing fetch. She would really love to have this ball launcher. I love this toy. Our PitLab, Titan, would love it. He loves to play ball and this would be a help for us, indoors and out. I like the safety feature and thes different distance settings. Thank you for the giveaway. Most dogs would go forever chasing the ball! Looks like your dogs are enjoying this toy! My older boy especially is ball crazy. Both my dogs are high energy, and though we do a lot, it’s hard to wear them out. They’d love this! YoYo would have a blast with this Ball Launcher ! Also great for bad Weather when we can’t go out . Perfect to get his exercise ! This is absolutely awesome! My dog will love this and it would likely keep her busy for hours! My dogs would have so much fun with this. My dogs would love to play with this. They need the exercise. Thanks for the giveaway! This is a great toy. Maybe he will be willing to let go of the ball more often with this instead of fighting for possession of it. That’s amazing! My dog would love this so much!! He’s a large breed, and active as ever (for an 8-year old). I’m already telling all my friends! I think this would be perfect for our house and our dogs. Finally a way to get them exercise when we are not home and keeps them busy busy busy and out of trouble. I really like how interactive this is with the dog. It gives the dog a bit of control and doesn’t throw balls out all over without the dog being engaged. This would be good for our youngest dog. She doesn’t get enough exercise and I often don’t have time to spend with her. When I am out in the yard, I am usually doing yard work. This way we could spend time together and she would get to play. My dog Max would literally have a ball with this!!! I’ve seen it before being advertised and have been wanting one ever since! My dog loves to play and I know she would enjoy the Ball Launcher. This would really keep her busy! I know my dogs would love this! They would go completely crazy over it! haha. This is really cool, my two older dog would really enjoy this. The smaller dog I don’t think so, but maybe she may join in you never know. These are the cutest little desserts I’ve ever seen. How cool are these for a party! My dog Ramona loves playing ball, fetch of any kind actually…chewing on her ropes….best dog ever. I would love this I think more than her. haha thank you for the consideration! This is a wonderful product for dog owners. This is an awesome toy for dogs. However, my dog would work more at tearing it up than playing with it. He rips all his toys to shreds. This is SO cool. My dog would love it! This sounds like it would be fun for the dog. She love chasing balls. 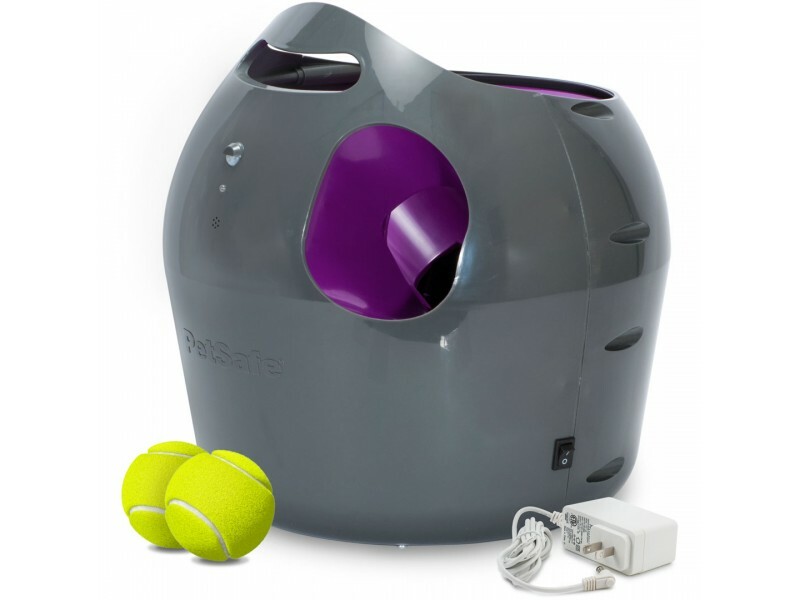 My doggie would love the PetSafe Automatic Ball Launcher for the most part. I love the fact that the multiple built-in safety sensors keep people and pets safe while playing fetch. So many good qualities! I was happy to hear about the safety issues…that is always a concern, but I really like the distance options. That really makes this a toy you can use in a variety of places. Best thing is your girls love it! This is so awesome! I could have these entertain my dogs while I am doing yard work.. Thank you! That’s cool I’m sure the dog would have fun! This is the coolest Toy for dogs, to play with. My dogs would love this.I hope to win this. My doggy is up in age, but I think he will get a kick out of the PetSafe Automatic Ball Launcher for the most part. My friend just adopted a dog and he can play fetch for hours! This would be perfect for them! Your fur babies are beautiful! I had Skye, a malamute/husky mix that was so sweet and loving. I lost her in 2005. She was a rescue that I was blessed to have for 3 years. Recently, I lost my best friend… a brindle boxer named Tiger. Also a rescue. I had 8 fabulous years with him. He was the best companion, friend and confidant. He and I had been side by side through my injury, surgery and he really helped me through my battle with depression when they ended up disabling me. We played, we loved, we lived… He never met a stranger and loved everyone. He’d get so excited and beside himself over any and all visitors. His huge heart won everyone over but, boxers are prone to heart disease. In the end, it was that big heart that failed him. I miss him every day and it has really been hard on me. I apologize for rambling. I just love to see you and your pets together and see how you love and cherish them and they do you, as well. No no, it is totally okay! I completely understand how much a loss hurts. I still cry almost daily for my Reya. I don’t understand how she could have been taken from me so suddenly. My beautiful, 3 year old girl had a stroke in April and it was so very devastating and fast. Rylie was a gift from her but I wish I had all three, not that she God arranged for a few days later us being introduced to a gorgeous puppy through email. She reminds me so much of my Reya and it is a bit of joy and hurt. My girls truly are my joy and my love. This would be awesome my little Loki begs me to play fetch with him everynight and I have tennis elbow and it nearly kills me to throw it for him, so this would be awesome! This would be great for my dog Outside and I would love to get it but indoors I know he would break something he loves playing catch you can’t even say “ball” without him jumping all around. This would have been so useful with my golden retriever. You could play ball with her for hours and hours & she still was sad when you finally told her it was enough. This is a very interesting product. I have never seen anything like it but I am impress. This would keep my dog busy for hours. It would be nice to own something like this. I love the video. The dogs in the video are too cute. This is awesome!! I bet I could use it to occupy my 3 year old too lol!! What a brilliant idea!! This looks like a lot of fun. It could probably also be used for kids if kept under the appropriate supervision. I would use this with the neighborhood kids and let them chase the balls down. I clicked on the video to watch it and it opened up Instagram and I watched it there. The dogs were having so much fun!! Your dogs are absolutely beautiful!! I wished I would have known about this pet toy before my doggie died!! My cat might like it! I hope our hot steamy weather has past! It wasn’t fit for man or animal!! This would make a great gift!! This is a really fascinating gadget. I like that it is safe and easy to use. My dogs would definitely love this. I am going to have to do some more research and may just have to get this for them. Sammy would just love this. He is always wanting to play. This would be great. Thanks for sharing. I run a busy doggie daycare /home dog boarding business in Central Florida and this apparatus would be SO IDEAL for me! My canine guests would LOVE IT! My dogs would love having this to play fetch. The 4 of them work as a team already so I can picture one of them loading the ball and the others waiting to run. Wow! This is really awesome! I love that it would not launch until she walked away from it, preventing injury. We’ve got a malamute who seems tireless at times and can wear me out. This ball thrower would be wonderful to have to keep him active and happy running after that endless ball. I love this for my beagle. It looks so cool for her to play catch. I love this ball launcher we have 3 rescue mutts and they love to go running after the ball when we throw them. This would do it for me which I would love to have for them. Ever since my cat adopted me, I have been saying I need something that will throw the ball repeatedly. He loves chasing balls more than any dog I have ever seen. I don’t, no one does, have the energy to throw the ball and retrieve them for as long as he wants to play. If this works with foam golf balls, we would love it. You do have a pretty dog. She appears happy too. I have never seen this automatic ball launcher before. This is the coolest thing, my mother has four dogs and so needs this. It would have been great to have when we had our dog Lucky, my arm hurt from throwing tennis balls to him. What a great idea. My niece’s dog needs this. She wears everyone in the room out by throwing balls for her. Don’t you wish we had as much energy as our pets do? I sure do! What an awesome “Toy” for our four legged friends. The Pet Safe Ball Launcher is amazing! Its even equipted with safety features. Would really Love to get one for my Sweet Boys they would get some much needed exercise.